Unlike other countries, the K-pop idols and fans have a special connection between them. The celebrities hold various events to meet and greet their fans, who return the favors with gifts, letters, cute nicknames, and votes. In the past 20 years, the fandom culture grew and grew every day that without it, you can’t explain K-pop. 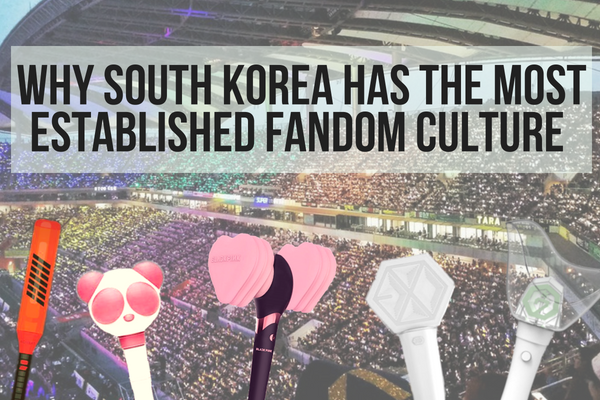 So why and how did South Korea get to have the most established fandom culture in the world? As most of you know, South Korea is known for having the world’s fastest internet speed. In 1990’s, the South Korean government “set a priority that it would be a highly connected country with a high degree of Internet literacy,” and planned for a widespread adoption of Internet. Moreover, the government also deregulated internet service providers, letting them to compete by lowering prices and raising speed. Ever since then, South Koreans became the world’s most tech-savvy people. In addition, most of them utilize public transportation to get anywhere, and what they do while transporting themselves, is being on their phones. 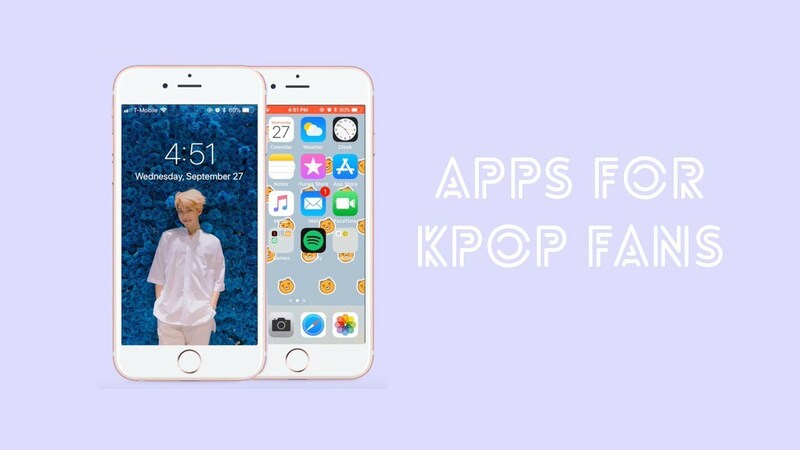 This allows easy communication among K-pop fanatics, whether it’s watching their artists on V Live App, engaging in social network communities, or gathering/sharing cute zzals (Korean version of memes) of their idols. South Koreans are also exposed to the fast-paced environment, which applies to the fandom culture, as well. You need to know the hot gossips and comeback updates/schedules for your artists as soon as you can. You need to able to stream and vote so that your star can remain and/or reach for the top, and you need to be able to have a quick access to various online contents featuring your artists. It’s like being on a baby monitor 24/7, making sure your idols are on the right track to rise to the top. Because of the fast-paced, tech-savvy environment, Koreans simply have the advantage to do it easier than the international fans. Belonging in a group often helps people to develop self-identity. Whether it’s a club they joined in school or religious acts, people tend to shape their lifestyles and formulate opinions based on communities they belong to. And one of these communities is the multiple K-pop fandoms. The fans invent and use unique group color(s), lightsticks, fan chants, and nicknames not only to distinguish themselves, but also sift outsiders. So why is it so important that Koreans feel a sense of belonging? It’s because we are born into a society that emphasizes collectivism. In this collectivist society, people tend to value the needs of a group as a whole more than that of an individual. By standing on the common ground, people work together, maybe even sacrifice their individuality, to achieve one shared goal. And when that goal is achieved, people proudly put a label on themselves. Fandom culture works the same. People gather to support their idols, making sure their paths to the top are smoothly as they can be. And when this goal is achieved and idols express gratitude towards the fandom, you and your work as an individual is recognized, because you identify yourself with the fandom. The youth community in Korea doesn’t get many opportunities to make their own decision. The majority of them has a path already planned and polished by their parents, on which they can do nothing but walk. As a result, this passive lifestyle tends to make them to crave more power and free will. By allowing them to choose whom to support and how to do so, South Koreans finally have a channel in which they can exercise their authority. It’s also no longer a vertical relationship; a mutual respect exists between a star and a fan because they know they can’t live without each other. However, it can sometimes let the fans to have too much power, and oversee the handshakes amiably offered by their celebrities.